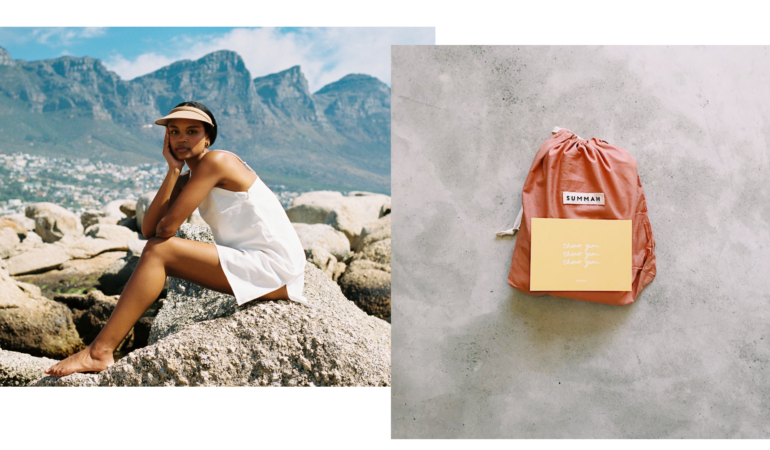 Inspired the ease and breeze of the Turkish coastline, Cape Town-based accessories brand, SUMMAH, seamlessly fuses the luxury aspect of Turkey with the vibrancy of South African culture. In this instalment of Elements, MARK Studio’s Craig and Frederick speak about the gorgeously crafted packaging design for a self-promotional project by Stranger & Stranger. Machine created a survival kit melodramatically entitled “The Quintessentially Metaphorical Field Guide to Humans on Business Safari” for Habari Media’s Tuongee Symposium attendees. While they started out as a crowd-sourcing platform for T-shirt design and subsequent online shop for designer tees, Springleap has grown and evolved significantly over the years. Johnny Kotze of The Motel and Jono Garrett collaborated on this proactive illustration/art direction/packaging design idea for Yale locks. Design label Skinny laMinx has teamed up with Frazer Parfum to create African-inspired luxury packaging for the perfume house’s African Parfum Solide Collection. T-shirt & packaging design by Ninjabreadboy. “Jy sal’ie vir my sê nie!” is a limited edition T-shirt design by Ninjabreadboy. Bittersuite explains their concept behind the new branding for Runner Duck wine labels that pays tribute to the unique name and story behind the playful brand. Power Play has ditched the flying, roundhouse-kicking monk from the can and have replaced him with a new icon, a mythical Griffin, aiming to refresh their image. vida e caffè is running a competition on 10and5, open to all of our very artistic, design-minded, talented readers, and EVERY ENTRY GETS A FREE COFFEE. For his new album, Life on Mars, Jesse Clegg asked Etiket to come up with a concept that would show the change his music has undergone, reference his inspiration and also encourage some interaction with the user…all on the cover. No newbies to the proudly South Africa theme, Ukuva iAfrica have been trading for more than 15 years creating various sauces and spices with a distinctive bit of design attached to their products: Namely the ‘African Neck’ wire feature, pictured below.